The Story of the 47 Ronin is one of the most celebrated and influential tales of the Samurai from the Edo period. Lord Asano was a powerful Daimyo ordered by the Shogun to entertain guests of the Imperial Family. The highest ranking master of protocol, Kira, was given the task of teaching Asano, among others, proper matters of etiquette in this task. Lord Asano and Kira quickly grew to dislike each other and the teacher insulted his student at every opportunity. No longer able to contain himself, Asano drew his sword upon Kira, wounding him in the attack. This act led to Asano's ordered suicide (seppuku) and the confiscation of his property. On December 14, 1702, nearly one year after Asano's death, 47 of Asano's men (now Ronin), descended upon the mansion of Kira to exact their revenge. After a fierce battle, the Ronin demanded that Kira commit seppuku for his transgressions against their former master. When he refused he was beheaded. For their actions the Ronin were themselves sentenced to death by seppuku. They are buried together at the Sengakuji, offering a true testament to the loyalty inherent in the Samurai. 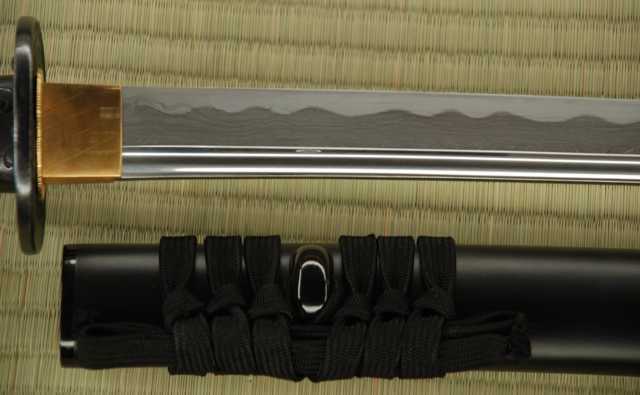 The Ronin Koshirae Katana captures the spirit of Lord Asano's 47 Ronin. 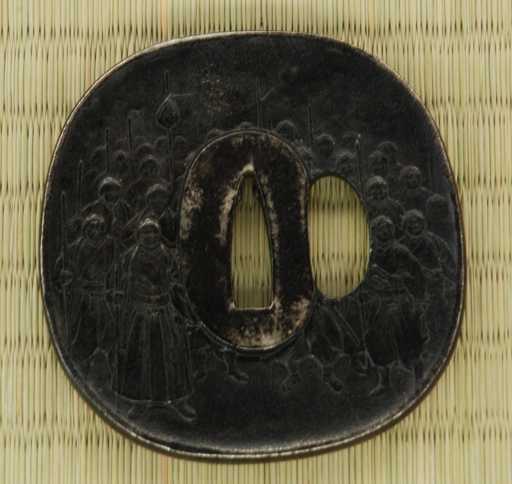 The blackened iron Tsuba depicts Asano's followers on their vengeful march. 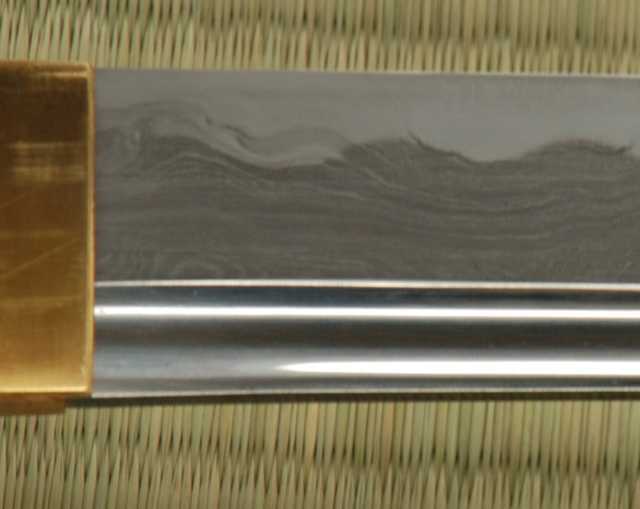 The blade is hand forged & folded Swedish powder steel with Hi in a traditional Shinogi Zukuri style. 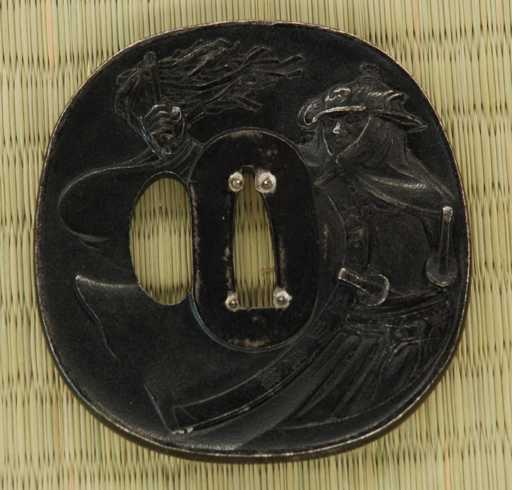 The menuki are bold kanji of life on one side and death on the other.